Searching for a replacement for Topper Bird Ranch seed? With over 140 years experience with human-grade contents and cutting-edge technology, Volkman Seed provides quality seed blends. Avian Science Super Diets offer a whole constellation of heavenly ingredients to provide balanced nutrition for pet birds and peace of mind for busy bird owners. Each special blend is tailored for the nutritional needs of a specific bird species. These carefully formulated blends are clean, convenient and simple to use. 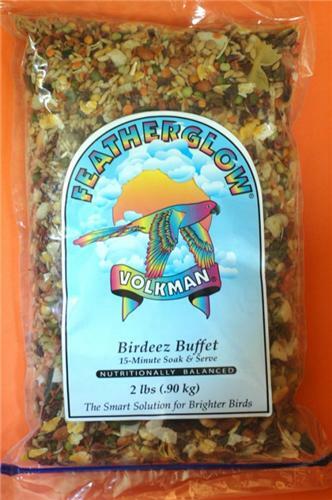 Featherglow Avian Diets are among the world's finest nutritional mixes formulated expressly for pet birds. Specialty avian blends offer the latest variety of textures, tastes, colors, nutrition and downright fun.